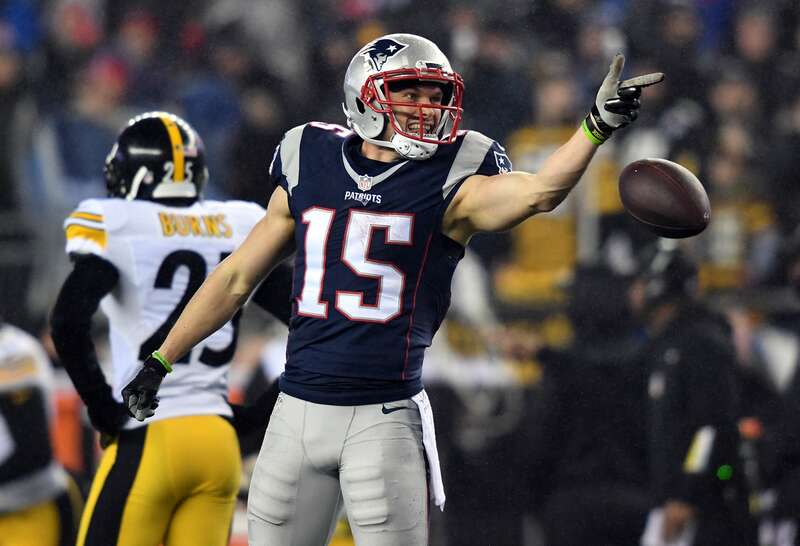 Chris Hogan’s legend precedes him. 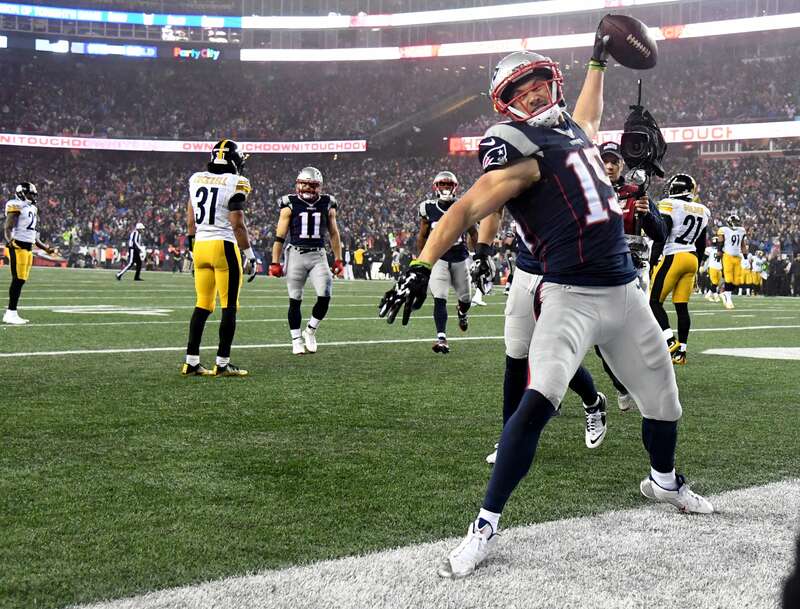 The way the Patriots’ wide receiver is discussed, you might think that the New England Patriots found him abandoned on the street and nursed him back to health and built him into an NFL wide receiver. Yes, Hogan caught only 12 passes in his one year playing college football at Monmouth. And yes, he played three years of lacrosse at Penn State. And yes, Hogan went undrafted — who is going to pick a guy who had 12 total catches for an FCS-level school in New Jersey that illogically plays in the Big South conference? And yes, Hogan was cut by three NFL teams before finally breaking through with the Buffalo Bills. 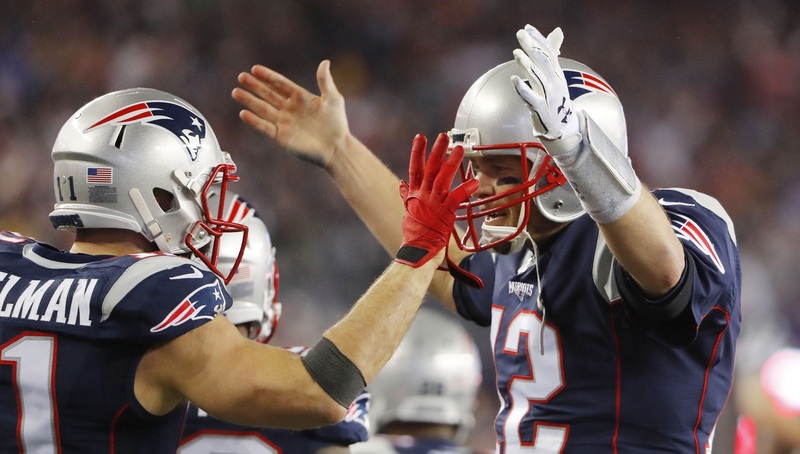 But it’s also true that Hogan signed a three-year, $12 million deal with the Patriots this past offseason. He had a cap hit of $7.5 million this year. Still, despite the fact that Hogan isn’t playing for shillings, as those who hear his legend might presume, he is another part of the Patriots’ long and fruitful lineage of finding success in unassuming places, and with unassuming players. David Givens, Danny Amendola, Wes Welker, Julian Edelman, and now Chris Hogan. Where do the Patriots keep finding these guys? Hogan had a strong year — a notch better than his performance in Buffalo in 2015 — for the Patriots this season, establishing himself as a viable and reliable downfield threat for Tom Brady. Still, he was hardly a household name outside of New England. Hogan is now a star after a huge performance in the AFC Championship game. Earlier on Sunday, Julio Jones, one of the best players in the NFL and arguably the top wide receiver in the league, caught nine passes for 180 yards and two touchdowns in another virtuoso performance, leading Atlanta to the Super Bowl for the first time since 1999. Hogan matched those numbers Sunday. The guy who had 12 catches for 147 yards and three touchdowns in college went for 9, 180, and 2 in the biggest game of his life. It doesn’t matter if the guy had established himself as a viable NFL player before he landed in New England — there must be something in the water in Foxboro. When Hogan left Monmouth in 2011, he was able to sign with the 49ers in the summer. He was cut before the start of the season. He landed a spot on the Giants practice squad, but was cut 11 days later. Hogan stuck on the Dolphins’ practice squad at the end of the 2011 season, but wasn’t able to make the 53-man roster, despite being a standout at training camp in 2012 — with “Hard Knocks” cameras present. Hogan earned the nickname 7-Eleven from Reggie Bush that summer, “because he’s always open.” He was a minor celebrity in Miami for a week or so. But that didn’t help him make the Dolphins’ 53-man roster. By the second week of the season, he was cut from Miami’s practice squad. 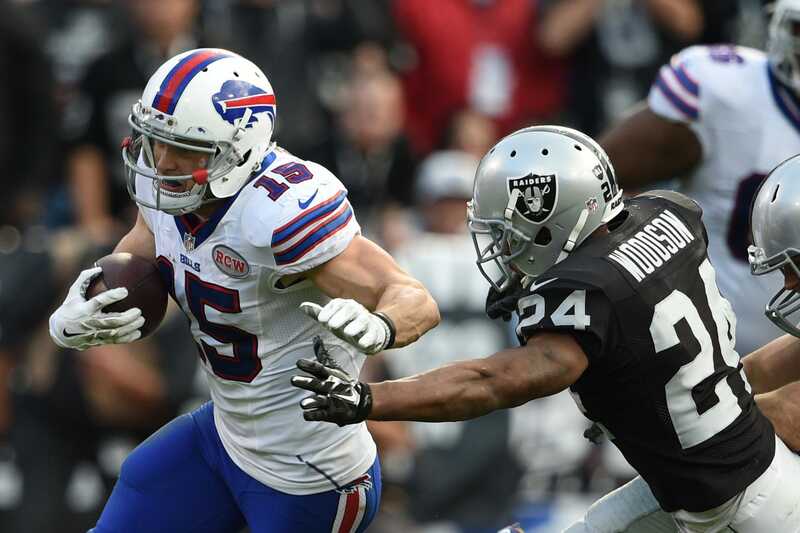 Hogan landed in Buffalo, making the roster as a special teams player and eventually earning snaps at wide receiver. You might not have noticed, because, well, he was in Buffalo, but Hogan was a solid receiver in 2014 and 2015. Bill Belichick noticed. He saw a guy perfectly suited for the Patriots’ four-wide offensive system. New England put in that $12 million offer sheet this past offseason and Buffalo let Hogan go — just another team that didn’t want him. Hogan’s performance Sunday was out of the ordinary only because of how prolific it was. There wasn’t an extra gear that he found or a new role in the scheme that he inhabited. He just caught nearly everything thrown his way — he was targeted 12 times — and made the most of a busted coverage and a perfectly executed flea flicker to score his two touchdowns. Hogan having a game like Sunday’s was shocking not because it was Hogan, but because defenses should have known better than to underestimate him. 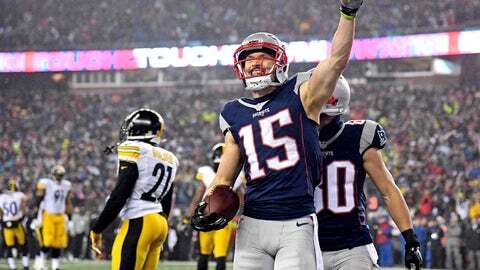 If you want to know how grossly unprepared and overmatched the Steelers were, you only had to watch the first half of the game — the Steelers kept playing zone coverage and Brady, aided by having Hogan as a downfield threat, kept burning them on it, all the way to a berth in the Super Bowl. Will Atlanta do any better in Houston? There’s one thing you can be sure of in that situation — they’ll know better than to underestimate Hogan.